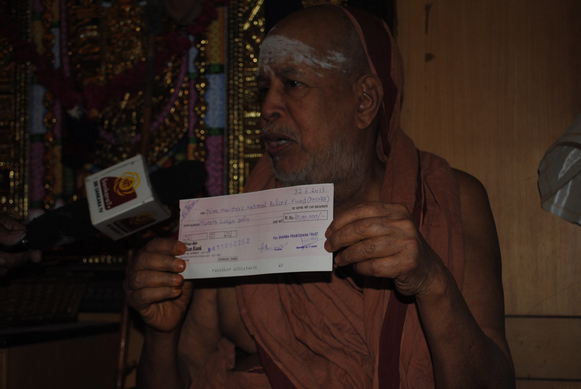 As ordained by Their Holiness Pujyashri Shankaracharya Swamijis, Shri Kanchi Kamakoti Peetam has sent material and monetary support for the flood relief work in Uttarakhand state. In this juncture when the citizens of our Country are facing such a calamity, it is our duty to pray for spiritual strength and will-power to tide over this critical phase. 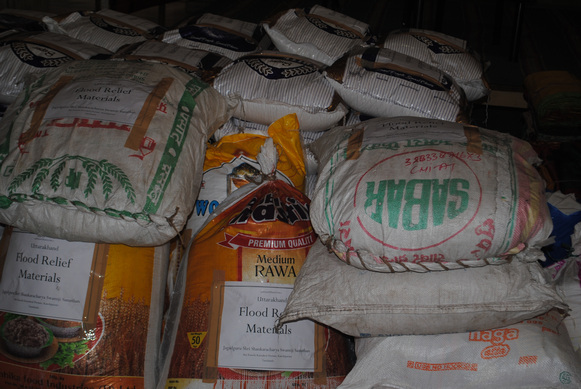 Further, an appeal is made to the general public to contribute to this cause to support the relief work. 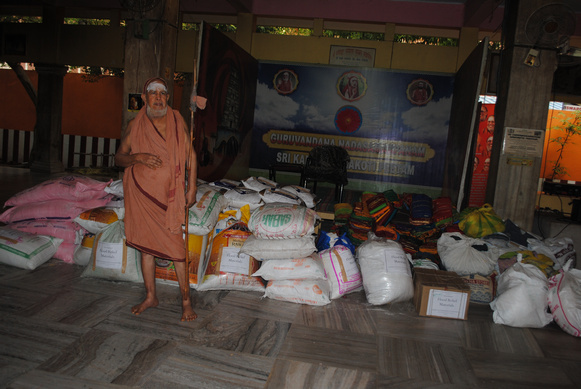 Contributions can be made monetarily as well as in the form of materials like clothes, blankets, medicines, provisions etc..
Shri. 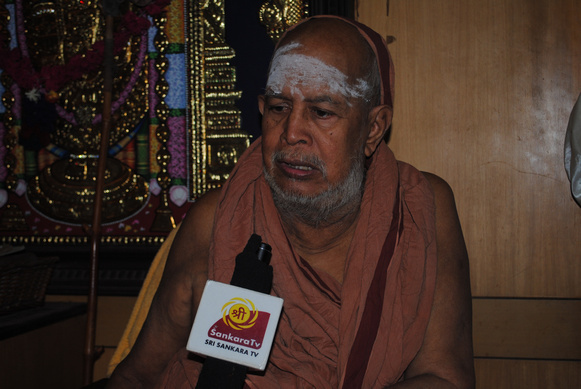 J. Seetaraman – Coordinator, Uttarakhand Flood Relief Work, Shri Kanchi Kamakoti Peetam, 1, Salai Street, Kanchipuram, TAMILNADU –631502. 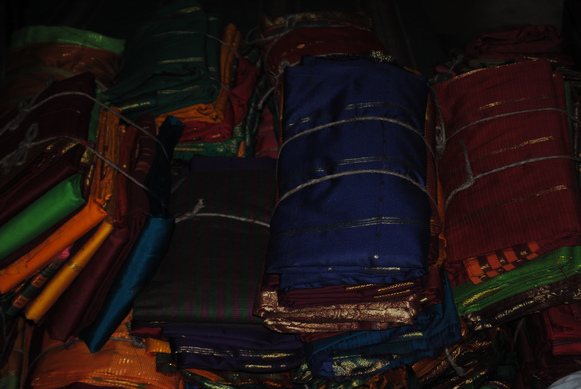 Contributing Materials:To facilitate easy collection, the donors can hand over the material to any of the following branches/ centres of Shri Kanchi Kamakoti Peetam. Opp. J.N.U. East Gate. New Delhi-67.